i’m about to say something i don’t really want to say. its something i’ve spent years avoiding. and i’m more than a little embarrassed about it. here goes: i’m in love with kale. it started with this salad we had at dinner with our friends peter and jenny. fast forward a month later and we’ve had kale salad every few nights since — always starring one key ingredient: shallot vinaigrette. if you’re looking for a way to improve your salad game, this is definitely it. 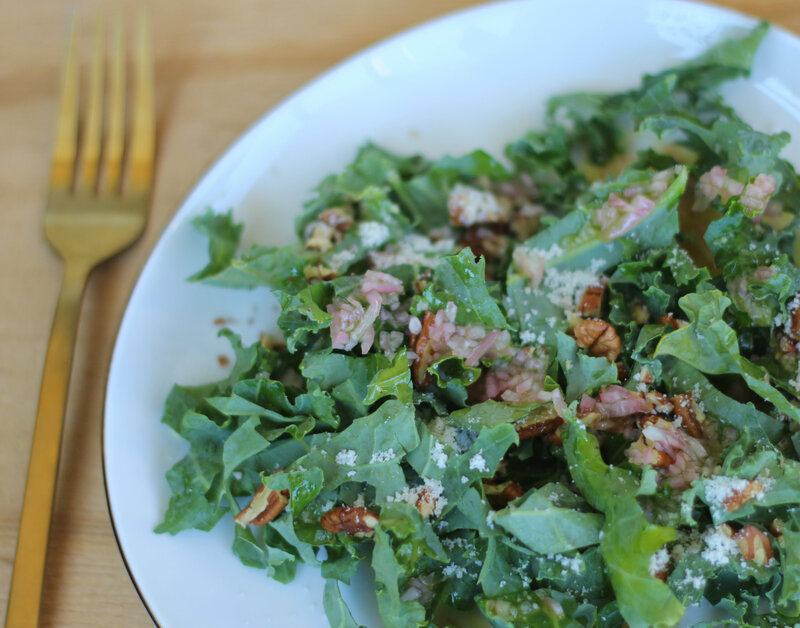 here’s our beyoncé approved kale + shallot vinaigrette salad (we didn’t ask, but we’re sure she’d like it). 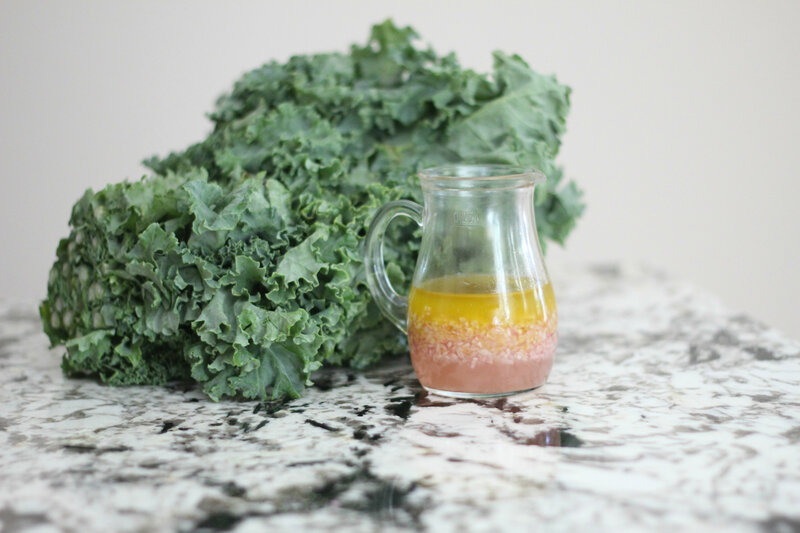 kale is super fibrous, so the acidity of this vinaigrette really helps make it easy to chew. and the way you cut it. 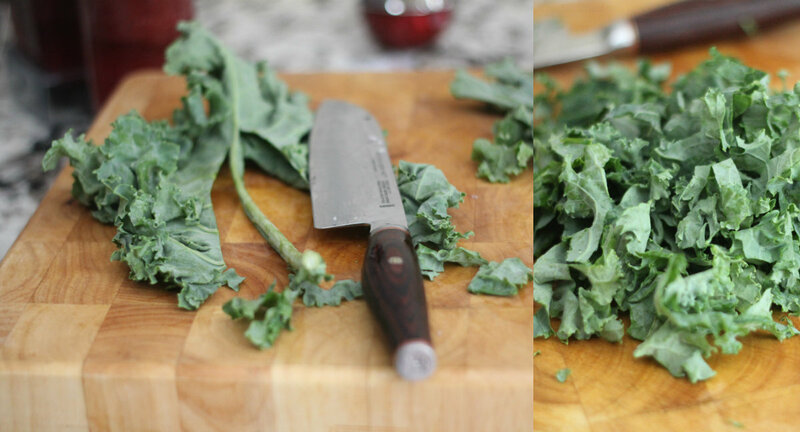 it’s important not to tear kale like you could other leafy greens. instead, you want to cut out the thick stalk in the middle of the leaf, then grab easy-to-hold-onto bundles, and slice into half inch wide pieces. the cool thing about kale is because of how fibrous it is, it really doesn’t wilt. that means you can leave it dressed in the refrigerator for a few days without it getting slimy and gross. that also makes it a perfect take-to-work lunch! fine dice the shallots, combine with wet ingredients, add s+p to taste. it’s pretty pretty. 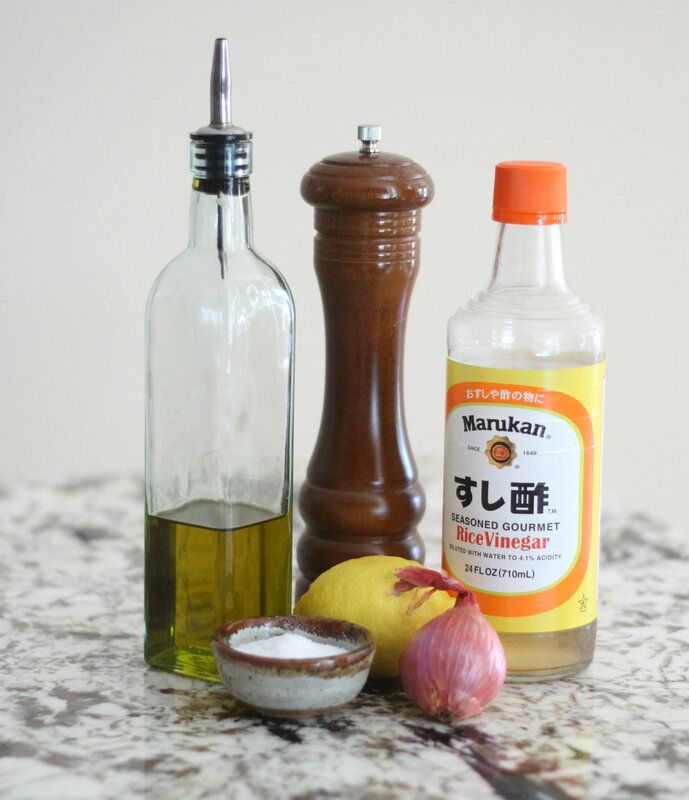 just stir it up before pouring it on your salad to mix the oil and vinegar. 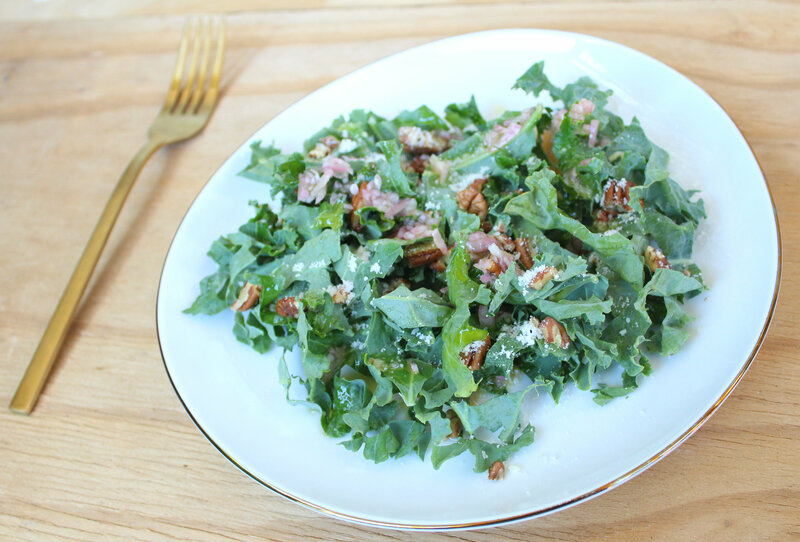 we top our kale with grated romano cheese and rough chopped walnuts, but you could do it even more simply and just stick to the kale. i like to use the entire bundle of kale (or more) and dress it with cheese, walnuts and vinaigrette ahead of time, then just keep the rest in the refrigerator for dinner tomorrow. anything that lets me be lazy, i’m into. who know you could be lazy and eat kale at the same time?!?! i thought kale eaters were so active (i thing as i sit on the couch thinking about turning on netflix).